Yes! Seriously! 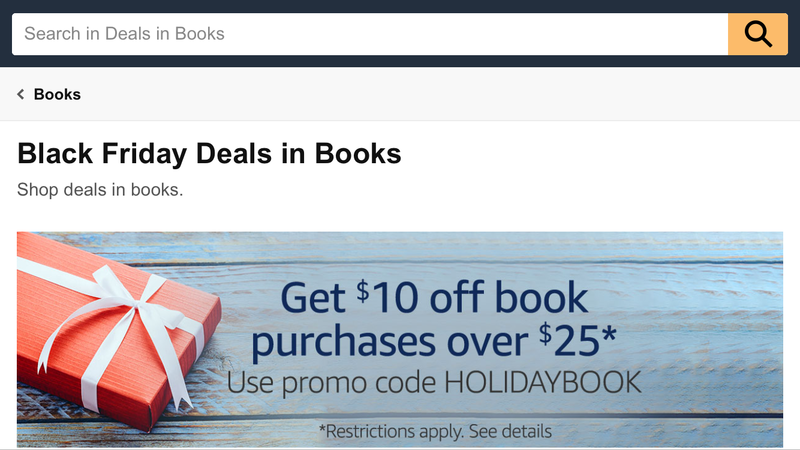 Amazon is currently running a promo for all books over $25 (not just Dungeons and Dragons books!). 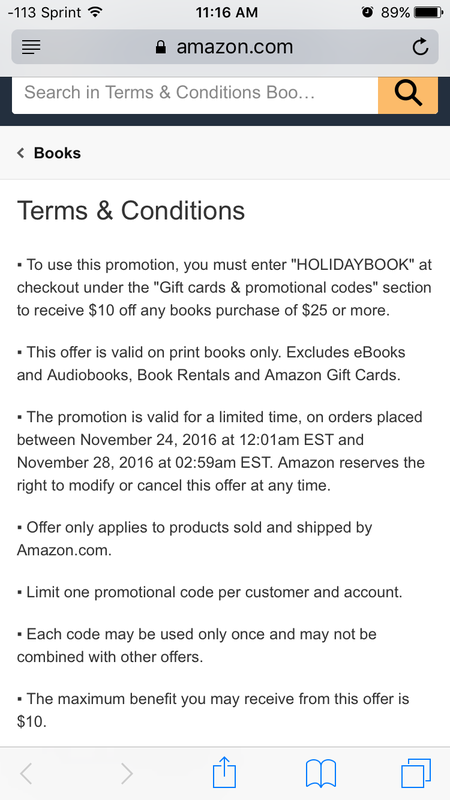 From November 24 through November 28 you’ll be able to use the promo code: HOLIDAYBOOK and receive $10 off of a $25+ book! I just picked up Volo’s Guide to Monsters for $21! It’s a great deal if you’re looking to grab a Player’s Handbook or Dungeon Master’s Guide or any of the campaign books available! Plus, it makes saving a few bucks on a gift for your amazing DM that much better (hinthintwinkwink). Save some gold and head to Amazon now! Previous Previous post: Cooking with Gnomes: Quick Vlog Update!